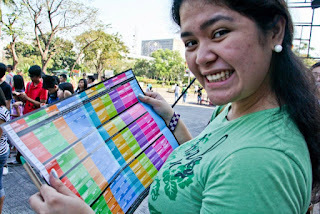 Lifestyle blog that centers on stuff that gets the attention of a jagged Filipina. It may be fashion, food, travel, adventure, hobby, book, movie, song, theater play, television show. Anything and everything that catches the attention of this oblivious but observing blogger. I'm disappointed that I was unable to blog for the past month. I really need to work on my time management skills, especially in attributing time for blogging. 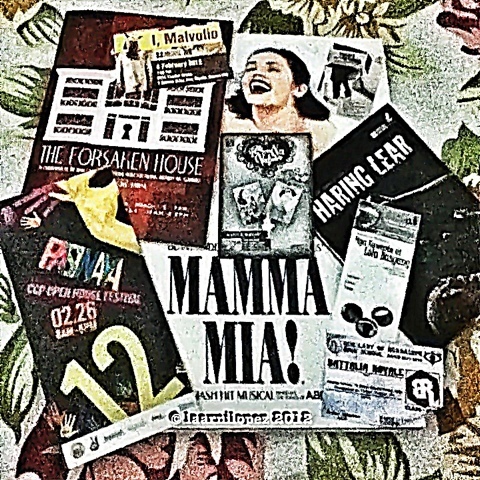 February as I know is the "Art Month" and I have seen a lot of plays and productions in the past month or so! I guess I was also overwhelmed that before I was able to make time to blog about one, I'm about to see another. And so on. When I finished reading Twelfth Night, I actually pitied Malvolio. That's why I was excited to see this. Tim Crouch was amazing. It was just a little funny that some don't get his antics and it's almost sad. It was about the revenge of Malvolio. And I'm glad to have experienced it. I still can't find it in my heart to divulge how or what his revenge is all about, because I want you to enjoy or know the feeling in the event that you would get to see the show. Hopefully you would. And I'm sorry if I wasn't able to blog this sooner, because we'd have to wait for it to get back in the Philippines, or catch it in another country. "Mga Kuwento ni Lola Basyang"
This is one of PETA's children's plays. It has been running for quite some seasons now and it was my first time to see it. It's very colorful and enjoying. It's very much created for the kids, but it doesn't mean that grown ups would get bored. It doesn't hurt that adults would be reminded of the moral lessons from the stories of Lola Basyang. And sometimes, we even need to. Whenever there are international plays that are being staged here in Manila, I do my best to be able to see it. And Mama Mia is not an exception. I really enjoyed this production. It was almost perfect for me. The only setback was Mr. Carmichael. However, I don't mind it that much because of the rest of the cast, the songs, the lights, the costumes, the choreography and everything else! It ended with a mini-concert and everyone, I think, left the theater in good spirits. This is also one of the productions that I wished I blogged earlier. Carlos Celdran's live documentary performance is a must see for all Filipinos, especially the younger generation. Imelda's story is very much part of our history and we ought to know our history. It was not at all a boring documentary performance. I loved how he made it feel like a very interesting gossip session. There are also other performers, but I'm thinking that they can do more. Apologies if I don't know yet. I was challenged by what Carlos Celdran said with regards to a country having its own arts and culture. And I'm so glad because I felt that there is hope for the Philippine arts and culture in this production (Pitong Sundang). I felt how much purely Filipino the music, the words and of course the dances were. It was very inspiring and entertaining at the same time. "Pasinaya: CCP Open House Festival"
made me regret that I missed Dinagyang this year. Mapua Tekno Teatro's "Pepe Pano Ka"
Dulaang Sipat Lawin's "Paano Man ang Trip Mo"
It was nice to see the future theater artists. And the future looks so bright. made me wonder what the story is all about, but what was shown was not enough to make me curious to see it. I'm so glad I get to see this! Fun! Sipat Lawin Ensemble's "Battalia Royale"
Teatro Expedicion De Filipinas' "Double"
Even if I've seen the whole production already, what they've shown made sense to me and if I haven't seen it yet, I would be curious and would love to see it. It was a twin bill performance of "Ang Huling Lektyur ni Misis Reyes" and "Joe Cool: Aplikante". Stellar performances by Lotlot Bustamante, Aaron Ching and Leah Tarynne Abella-Johnson. The place was packed when I watched. How I wish that the audience count was 50% less to have a more intimate feel. I really loved both plays. The stories were superb and the staging gave justice to the material. How I wish there would be more stagings of this. It is nice to watch your personal realizations staged. Four thumbs up! Yes, including my toes! 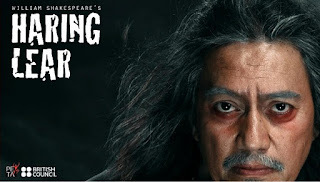 Shakespeare's work to be translated and staged in Filipino is just too dangerous. But I'm glad that they took the risk and everything was still in place. I think that Shakespeare would be proud and truly honored in this production. Teroy Guzman is King Lear. I would really believe that he is the actual King Lear. Yes, he was that amazing. Actually, everyone was. And the stage, direction, set, lights, and everything was perfect. If budget and time permitted, I could have watched this over and over again and still be amazed. And yes, this would still make you proud to be a Filipino. It has been quite some time since I last seen a production of Dulaang UP. It was back during their 29th Season. Still with high expectations, I went to see this one and I was not disappointed. It was good to see on stage the collaboration of new breed of actors and the well seasoned ones. I love the subtlety of homosexuality because of how it was perceived back then. I'm looking forward to see more DUP productions. To cap off PETA's year of Shakespeare, a great deal number of sonnets were asked to be translated by different writers and were made lyrics to songs. And "Thee Na Natuto" was a concert of these songs. 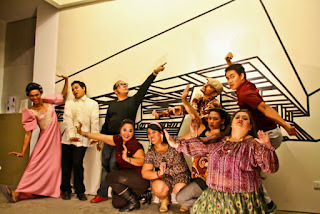 It was a fun-filled night, with music and laughter, because of the ensemble and short skits. Shakespeare really brings out the best talents in Filipinos. I wish we'd be able to hear more of this quality songs in the air waves today. It's the most exhausting production (for the audience) here on the list, and even in all the productions I've seen so far, and it's worth it! It was such an experience. I'm glad I was able to catch it in their Cubao performance rather in CCP. Although, it might be an entirely different experience. It's just that I was left wondering why this is all happening. Is it because they live in such a violent world? But why them? Did they deserve it? Although, I personally don't think that anyone, especially children, would deserve that. All in all, kudos to everyone who has been part of the whole production. It's indeed a job well done. How about you? How did you enjoy the art month? Any recommendations for the next productions I should see? Let me know in your comments! Thanks! Your oblivious but observing blogger. PETA Ends 46th Theater Season With A Very High Note: "Rak of Aegis"
Share book reviews and ratings with Laarni, and even join a book club on Goodreads.